Located deep in the wetland region of Hong Kong is a mill that stopped operating nearly a decade ago. Once a part of the city's thriving textile industry, which has since migrated to mainland China, the 55-year-old building has been spared demolition. But now, it has a new fate. Opening in 2018, it will become a startup incubator, thanks to a private investment worth 700 million Hong Kong dollars ($90 million). The project, called The Mills, is developed by Hong Kong property giant Nan Fung Group. The 264,000 sq. ft. space will not only include an incubator but also an art gallery and retail space. "If we looked at [the building] from a purely economic point of view, it would have been much faster and more lucrative to raze this and build another commercial building," Cherry Chan, who is overseeing the project, told CNN. "But this is our way of giving back, building a new community, and exploring possibilities for the city and the company." Focusing on startups, The Mills currently has four pre-pilot incubatees: Snaptee, Techpacker, Eoniq and The Fabrick Lab -- all of which are focused on "tech-style," a play on the word "textile." For example, Snaptee and Eoniq focus on wearables -- mostly apparel and watches -- while Techpacker develops online software that connects designers and factories to make custom design products. The Fabrick Lab develops experimental textiles, such as woven copper. While Hong Kong is known globally as a financial hub, creative industries haven't traditionally been considered its strength. But that's starting to change. In 2009, the Hong Kong government launched its Conserving Central initiative to renovate eight heritage sites located between the city's high rises. PMQ, a former police barracks that was converted into a creative hub. The flagship project in that initiative is focused around the former Police Married Quarters, a building built in 1951. While it was misused for nearly a decade, it was recently turned into a creative hub and renamed PMQ. It now hosts design studios, restaurants and pop-up stores. Meanwhile, an underground floor showcases the stone foundations of a school that occupied the site in 1889. China's founding father, Sun Yat-sen, was a pupil. The government contributed HK$400 million ($51 million) toward the project. It signaled a change in attitude within the Chinese city, which in recent decades had countless colonial buildings bulldozed to make way for more skyscrapers. "People in Hong Kong have become more aware of the necessity to preserve our heritage and buildings," a spokesperson for the Heritage's Office of the Development Bureau tells CNN. "This inheritance is something we cherish, and we will continue to devote time, effort and resources for the revitalization of our historic buildings." Elaine Ng, founder of The Fabrick Lab and a member of the Mills incubator program, relocated her fabric consultancy firm from Beijing to Hong Kong two years ago for family reasons. She's hopeful the growth in Hong Kong's creative sector will spark more innovation. 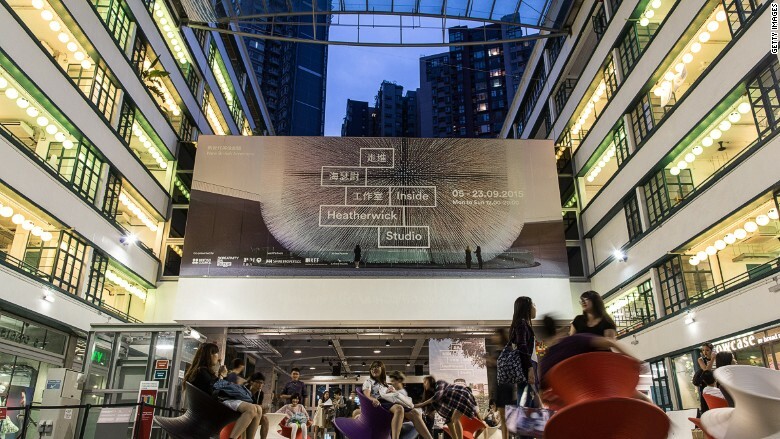 "All these really exciting communities have just started in Hong Kong, and the art scene could be completely different in the next five years," Ng told CNN. "That's because we're not all just looking at high end art -- there are also a lot of grassroots art activities." But Ng believes the regeneration of sites such as The Mills could impact the city's greater culture, as well. "It is dangerous if Hong Kong just remains [as is] because anywhere could be a financial hub," she said. "Shanghai is a great [one], and so is Shenzhen and London. [Hong Kong] needs to be a place that has soul and culture." One of The Mills' biggest efforts is to not only serve as an incubator but also a networking facilitator. The goal is to spark more dialogue throughout the city and among international creators and communicators. "A lot of Hong Kong's collective memories, symbolic values and its distinctive spirit are preserved in textile mills," said Angelika Li, the director of MILL6 Foundation, a nonprofit arts group that's part of the Mills project. 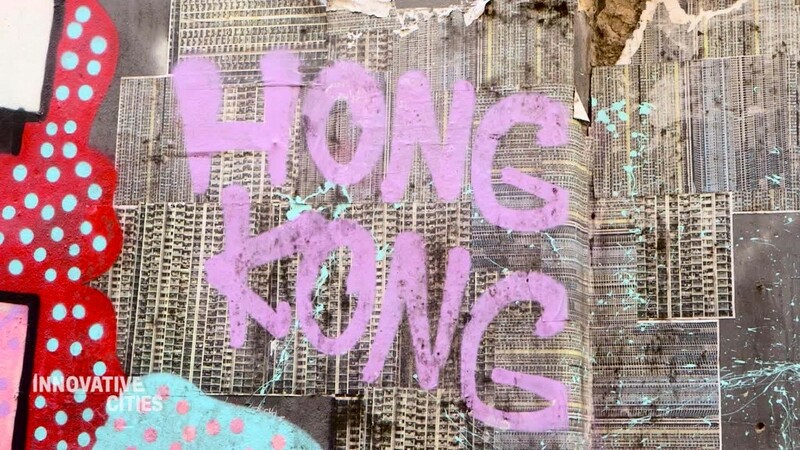 "People often say Hong Kong is a cultural desert," she added. "I don't agree with this ... but we have to be more curious to explore."